How Comfortable are Latex Mattresses Over The Long Term? Over the years, humans have evolved in every aspect of life. From technology to comfort practices, everything has seen a constant change. This has brought a huge lifestyle change in humans as well. Now, we no longer are able to withstand discomfort. We are stuck inside our own comfort zones. Due to this the mattress industry has seen quite some growth in the past few decades as well. We have evolved from hard stuffing mattresses to the latest generation latex ones. Latex is the most durable type of foam available in the market right now. 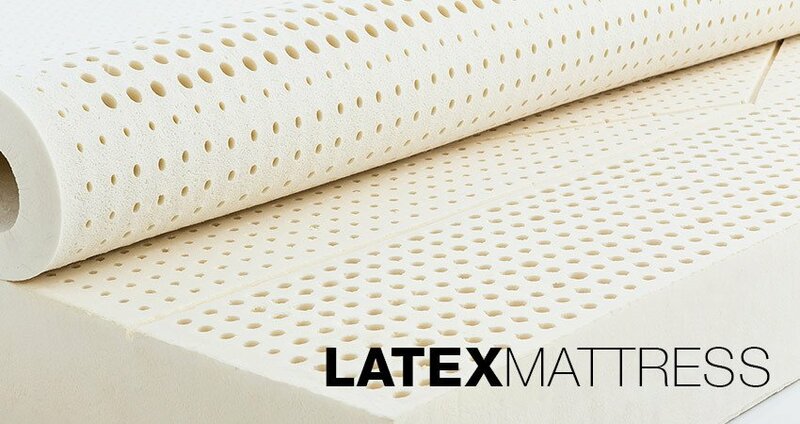 Mattresses made out of latex are proven to provide comfort, bounce and flexibility to its users. Latex on latex mattresses is derived from the rubber trees. The latex from the tress is poured into large moulds after extracting the non usable material out of it. Then, it is vulcanized to produce a solid but flexible material which can be directly used in mattresses. Latex mattresses come in 2 types – pure and synthetic. The pure latex mattress is considered the best out of the 2 as it is cleaner, more durable and does not get washed out easily. While the latter is made out of chemical by products and a lot of additives, hence, loses its spark easily and also breaks down easier than the pure latex mattress. 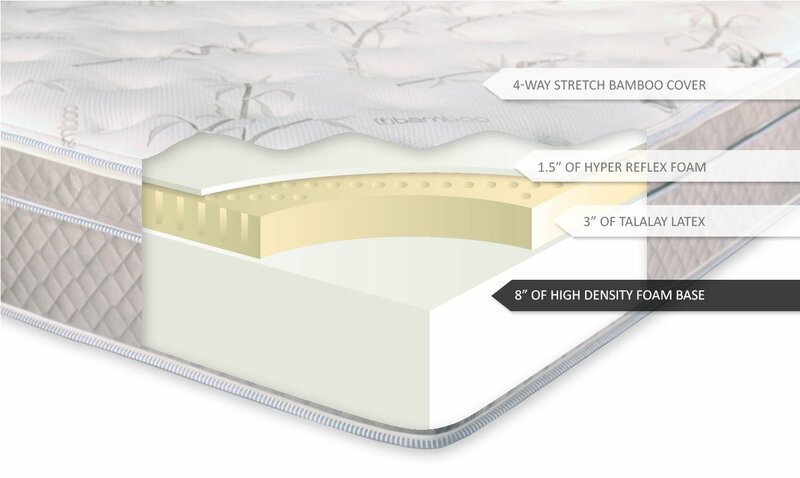 How are Latex mattresses different from innerspring mattresses? Although latex mattresses are not as cheap as innerspring mattresses, innerspring mattresses are nowhere near the standards of latex mattresses performance wise. As already mentioned above, latex is a rubber tree derivative, hence, provides smoothness, flexibility and overall user comfort. On the other hand innerspring mattresses get dirty easily, feel rough on the body and have close to no bounce level. Although there are quite a few price options while buying an innerspring mattress, an innerspring mattress that is costlier than an average latex mattress might provide better looks but will be of no match to the latex ones comfort wise. Innerspring mattresses are good mattresses to have as they are easier to carry around due to their lighter weight however performance wise, latex mattresses are miles ahead. Although almost all latex mattresses provide assurance of quality, there are various factors one needs to consider while buying latex mattresses. Here are some of them. Avoid mattresses with synthetic latex used. Although synthetic latex mattresses might save a bit of your money, they are not worth buying as they tend to get stiff, wash out easily and do not match the comfort facilities offered by natural latex mattresses. Try to locate a store with genuine latex knowledge and high quality service. Go to a store that offer its customers to test out their mattresses and offer full details of the recipe they used while building that particular mattress. While the sellers might show their mattresses as the best out there, it is always clever to check the actual customer reviews. A latex mattress with a lot of good customer reviews is a sign of reliability. Latex mattresses have been gaining popularity around the world recently. These mattresses are a great substitute to the traditional innerspring ones which have given its users discomfort over the past few decades. However, as already mentioned previously, one must always look for 100% pure quality mattresses. A 100% pure quality latex mattress will not need any kind of manual restacking and is certain to provide comfort over the long term. Do Memory Foam Mattresses Really Live Up To Their Expectations? Hi, My name is Jenna Jamieson. I’m so glad you’re reading a bit about me. I am involved in the hotel industry and so I have to deal with a lot of mattresses. So I have a pretty decent understanding of what to look for when procuring a mattress. My skills aside, there is a somewhat personal angle to the inspiration behind this website. I have seen tens on websites of mattresses over the internet, supplemented with blogs and discounts. But I don’t see most on them actually helping people out in choosing a healthy and comfortable mattress for themselves.